Divers Supply prides itself on providing our students with an incredibly safe, comfortable and enjoyable SCUBA certification experience. 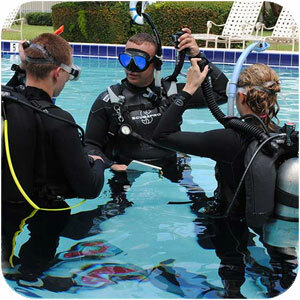 Whether you’re doing a "Try Dive", ready to become a Certified Diver, or adding to your diving abilities, or becoming a Dive Professional, Divers Supply has the course that is right for you! At Divers Supply you can try SCUBA for the first time, go Pro and become a SDI SCUBA diving Instructor or anything in between. 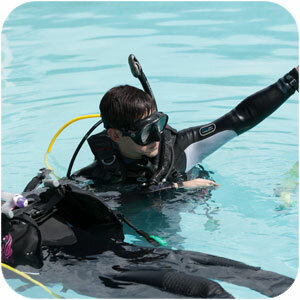 We have SCUBA diving lessons available in Georgia, Florida, and North Carolina! We also offer private diving courses that provide a customized experience that can potentially be completed in a single weekend. We offer the most modern, fun, safe and convenient courses. Just 3 easy steps: SDI's award-winning E-Learning, hands-on practice in our pool and a certification dive trip to one of our fabulous destinations! You can earn your lifetime certification as an "SDI Open Water Diver" in as little as 4 days. Always wondered what Scuba Diving is like? Try it! 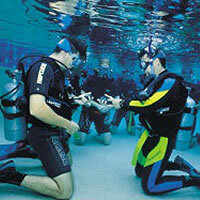 The "Try Scuba" Experience is conducted in our indoor heated pool, no experience necessary. Bring your swimsuit and towel we provide everything else. 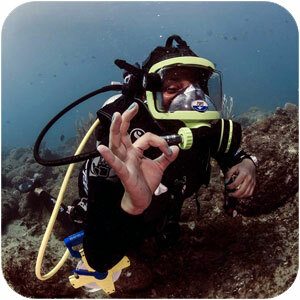 Try Scuba will help you decide if you would like to complete your Open Water diving certification. Must be in reasonably good health in accordance with the SDI medical statement and at least 10 years of age or older. Approximate Class Time: 2 hours. We offer multiple courses for the more advanced diver including: Nitrox Course, SDI Advanced Adventure Diver Course, Full Specialty Courses, SDI Advanced Diver Course, Rescue Diver Course. Ready to expand your knowledge and experience? Get a taste of 5 specialties from Deep to Navigation. This course is a great next step after Open Water certification. Learn to use Nitrox with a Nitrox programmable computer. Learn to perform self and buddy rescues, administer first aid and become prepared for dive related emergencies. This course is a CPR, emergency O2 administration, first aid, and AED course combined into one program. Haven't been diving in a while? 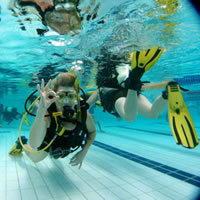 Take our refresher course and get back into the underwater world! These courses build upon what you have learned, develop new abilities and introduce you to new ways of having fun scuba diving. 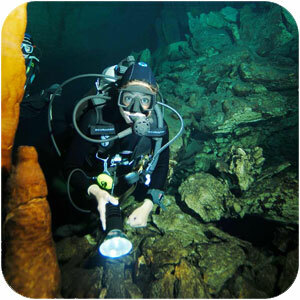 Expand your training to new level by learning decompression procedures, advanced nitrox procedures or even Cavern diving. 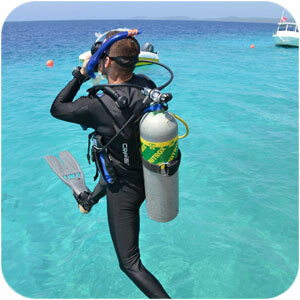 Ready to be a Divemaster or an Instructor? 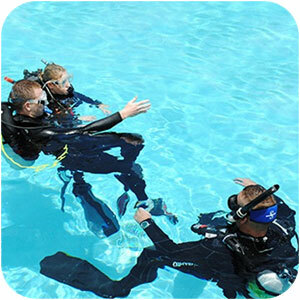 Get the chance to introduce new divers to the sport of Scuba diving. Divemaster Course: This is the first professional level certification. During this course your diving abilities will be challenged and your Scuba skills refined to demonstration quality as you become a role model for other divers. 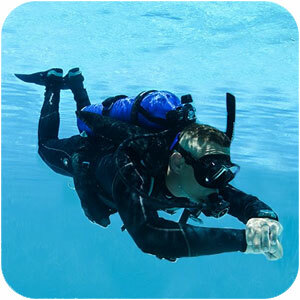 SDI Instructor Course: This course will teach current Divemaster or Assistant Instructors the knowledge to safely function as an SDI Instructor with the abilities to teach SDI Open Water Scuba Divers, Advanced Adventures Divers, Rescue Divers, Divemasters and Assistant Instructors. 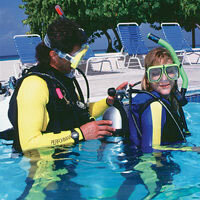 Scuba Lessons Cost Less at Divers Supply. 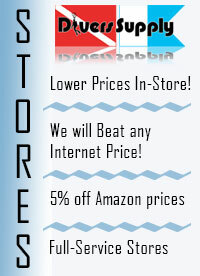 It's always easy to shop for Scuba Lessons at Divers Supply. 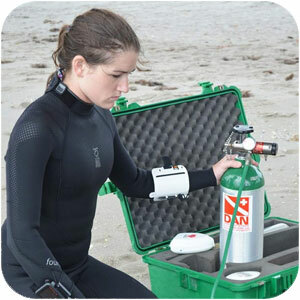 We have the best prices on Scuba Lessons at Divers supply.